How to download and save WhatsApp statuses on android? Do you see a cool or important image or video in the whatsapp status that someone posted and you wish you can save it to your device to see later? well you can’t do that directly, whatsapp will not let you to save those statuses to your device. these statuses will auto-expire in 24 hours, i think. But with the help of this app, yes you can. 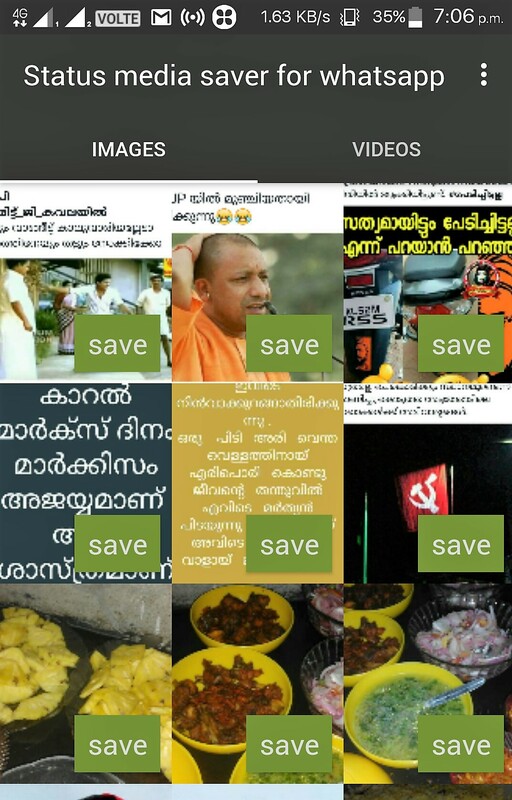 this whatsapp status saver app lets you save any photo or video from your whatsapp status to your device storage, so you can view it whenever you want. So how to save a Whatsapp status with this app? This app has two tabs, one for images and the other for videos. to save a photo or video, first go to your whatsapp and view/watch the status. then open this app and you can see all the statuses of your whatsapp in the chosen tab , just click on the save button and it should be saved to your device.